● When available, Annie’s Catalog’s coupon codes tend to offer shipping deals or discounts as high as 40%. 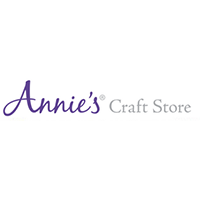 ● Shop Annie’s Catalog’s Clearance section and save up to 50% on select items. ● If you are not satisfied with your order, you may return it within 90 days for a refund, exchange, or store credit. Some restrictions may apply, so make sure you carefully read the Return Policy. Annie's Catalog is home to one of the largest online craft stores around, with tens of thousands of individual products available for sale across pretty much every crafting discipline. Individuals will be able to visit the store to find materials and supplies necessary to crochet, to knit, to quilt, to sew, and to do pretty much every other arts and craft imaginable all at discounted prices far cheaper than what can be found at any physical arts and craft retailer. The products provided by this company are of the highest quality (that's Annie's commitment to her customers), and all of them are shipped out within 24 hours of an order being placed. For most up to date offers check out Annie’s Craft Store on Facebook and Twitter or contact Annie’s Craft Store Support for any questions.